In this tribute to the old time spaghetti westerns with a liberal dose of modern Hong Kong film-making thrown in, Emilio Estevez assumes Clint Eastwood's "man with no name" role. Estevez plays a super-quick gunman on the run from a rancher (Long) and his men out to kill him for killing his son. The gunman gets mixed up with a former Confederate soldier (William Forsythe) who has knowledge of hidden gold. The only trouble is he is also pursued by Union soldiers. When they free a man (Ed Lauter) with part of the map to the gold, they then are also pursued by Spanish soldiers. 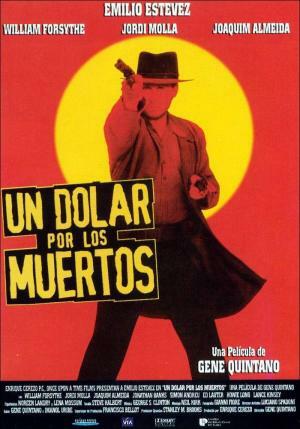 It all leads to a small Mexican town terrorized by soldiers and led a by a good priest (Joaquim De Almeida) who also has knowledge of the gold.